In round figures, and depending on how you calculate it, 10 million people die every year in connection with poverty (hunger, curable disease, preventable disease) and most of them are children. This is the largest death rate from any single cause. On this point there is some good news and some bad news. The good news is that this death rate has been falling gradually for decades, largely as a result of development aid projects including the Millenium Development Goals. The bad news is this: given the world's growing wealth, the problem of premature death in connection with poverty could largely have been solved by now--for example, by targeting tax havens, regulating international markets to prevent exploitation of developing countries, reducing corruption, financing development aid at the internationally agreed rate of 0.7% GDP, and so on. None of these strategies have been taken seriously enough. But there is a second piece of bad news, and it is the most serious of all. In coming decades, climate change will gradually and sustainably increase the death rate in connection with poverty. It is very likely that this will happen (feel free to expect a miracle) and the reversal may already have begun. If global mean temperature rises by 3°C by 2100, which is likely considering the continuing failure of the international community to get a grip on the problem (even if the Paris agreement was fully implemented it would not limit warming to 2°C), and if the predictions of mainstream science come true (sea level rise, oceanic acidification, killer heat waves, desertification, more frequent mega-storms, floods, droughts, and forest fires, extinction of a large proportion of all species, mass migration, wars over natural resources especially water), then the death rate in connection with poverty will certainly at least double. What else can happen? Even if the temperature increase is "only" 2°C, which is widely regarded as a "dangerous" limit, the death rate in connection with poverty could double, reaching 20 million per year by 2100, of which half will be attributable to climate change. If we accept the most basic assumptions about human rights, namely that the right to life is the most important right, and every human being has the same value regardless of age, gender, skin color, disability and so on, and if we accept that the value of a human life is our most important value--certainly more important than money, and even more important than the natural environment itself--then the death rate in connection with poverty and climate change in coming decades is the most important issue in the world today. What other issue could be more important? In the past few years, the world has been deeply shocked by violence in Syria, Iraq, and many other countries. But the death rate in connection with violence is roughly an order of magnitude (ten times) smaller than the death rate in connection with poverty. Other candidates for "the world's most important issue" include the risk of nuclear war or a pandemic caused by artificial genetic manipulation, but the probably of such catastrophes is low by comparison to the probability that the death rate in connection with poverty will double by the end of the century. Given what we know about global warming and our failure to stop it, a doubling of the biggest death rate toward the end of the century is likely, whereas the other mega-threats are relatively unlikely. Hardoy, J., & Pandiella, G. (2009). Urban poverty and vulnerability to climate change in Latin America. Environment and Urbanization, 21(1), 203-224. Pogge, T. (2005). World poverty and human rights. Ethics & International Affairs, 19(1), 1-7. Hertel, T. W., & Rosch, S. D. (2010). Climate change, agriculture, and poverty. Applied Economic Perspectives and Policy, 32(3), 355-385. Barrett, C. B., Barnett, B. J., Carter, M. R., Chantarat, S., Hansen, J. W., Mude, A. G., ... & Ward, M. N. (2007). Poverty traps and climate risk: limitations and opportunities of index-based risk financing. Shackleton, S. E., & Shackleton, C. M. (2012). Linking poverty, HIV/AIDS and climate change to human and ecosystem vulnerability in southern Africa: consequences for livelihoods and sustainable ecosystem management. International Journal of Sustainable Development & World Ecology, 19(3), 275-286. Thornton, P. K., Jones, P. G., Owiyo, T., Kruska, R. L., Herrero, M., Orindi, V., ... & Omolo, A. (2008). Climate change and poverty in Africa: Mapping hotspots of vulnerability. African Journal of Agricultural and Resource Economics, 2(1), 24-44. 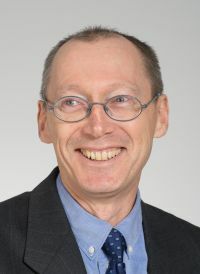 Pettengell, C. (2010). Climate Change Adaptation: Enabling people living in poverty to adapt. Oxfam Policy and Practice: Climate Change and Resilience, 6(2), 1-48. The results are similar if you enter "climate poverty mortality". According to my argument above, these studies belong to the most important academic studies ever carried out, because they have life-and-death-implications for a billion people--if not for the entire planet. But they are hardly high-profile papers, and they are not being cited more often than papers on other topics. The citation rates are typical (in the range 40 to 300). There is another problem. Although the word "death" evidently occurs somewhere in each paper (otherwise Google Scholar would not have found them), that word does not appear in the titles or the abstracts of these papers. In fact, these authors tend to avoid the question of death rates in connection with climate change altogether--although this, if my argument is correct, is the biggest problem facing humanity today. Why is the most important issue of all being ignored? I see two main reasons. It makes us feel guilty. We academics and our funding agencies are contributing to the problem with our own high-carbon lifestyles. We don't want our colleagues attracting attention to our guilt. For this reason, colleagues who do good research on this topic and publish it fear for the careers. They are afraid that their papers and grant applications will be mysteriously rejected. Even in this area, many academics are still in partial denial about the implications. They may not say it, but they may think it: It's a beautiful day today and sun is shining, so it cannot really be that bad, can it? Besides, we are all surrounded by passive climate denial. Our families, friends and professional colleagues my be very diverse, but they have one thing in common: they are not taking climate change seriously. It's hard not to be infected by their indifference. I don't know which of these two is the main reason, or if there is another reason that I have missed. But I have had personal experiences that are consistent with both. For years I have been writing about this issue at parncutt.org and got almost no response. I know that a lot of people out there are reading my texts, and I am easy to find and contact, but hardly anyone is contacting me. Perhaps they think I am crazy? One would have to be crazy to care about the right to life of a billion people, right? Occasionally I have tried to find just one local academic colleague in a relevant discipline (climate science, climate economics, human rights, ethics, global studies) who would co-author a paper on this topic with me. I really need a co-author, because my expertise lies in a quite different area. Besides, I should really be invited to speak on the topic. Time is running out. But my attempts to make contact with colleagues in contrasting disciplines have generally failed. People are friendly until you address the main topic directly, and after that they stop answering emails. In conversation, they try to change the topic or suggest gently that I might be exaggerating. I'm not exaggerating. Nothing can be more important than the right to life of a billion people. If ever there was a fact, that's it. If ever there was a reason to invest much more money in research on climate and poverty, that's it. In an increasingly untruthful and dishonest world, academia may be our last bastion of truth and honesty. If there is a smug, middle-class tendency within academia to deny the true human costs of climate change, I hope it can soon be recognized and overcome. When that happens, the issue might at least get the attention it deserves. It might for example at last become issue no. 1 at every national election (rather than being completely ignored on those occasions, which is the usual tendency), so that the problem can finally be solved by democratic means.